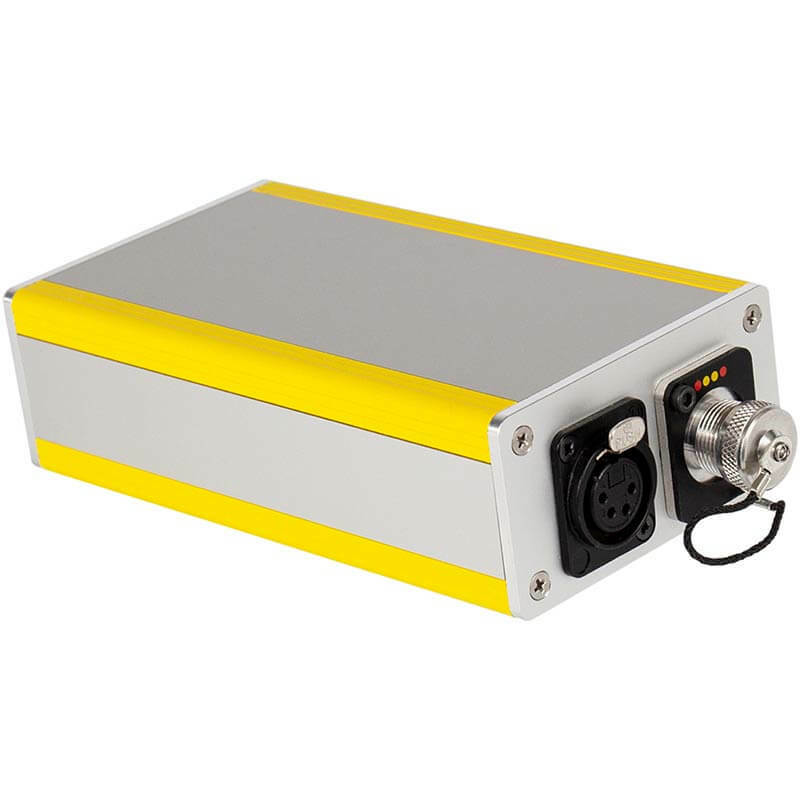 Has separate standard connectors for power, SDI and ethernet and patches easily to PTZ camera. 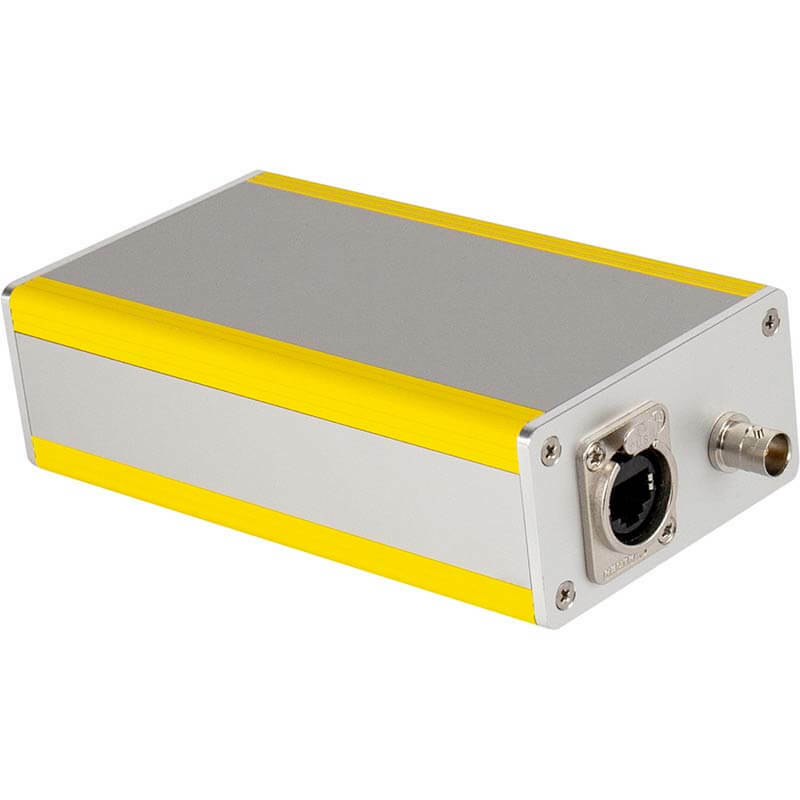 FieldCast PTZ Monk is a small one channel fiber optic converter designed for 3G SDI PTZ camera systems with ethernet control. PTZ Monk converts the 3G SDI video output of the PTZ camera to fiber and acts as a fiber media converter for the ethernet control data. 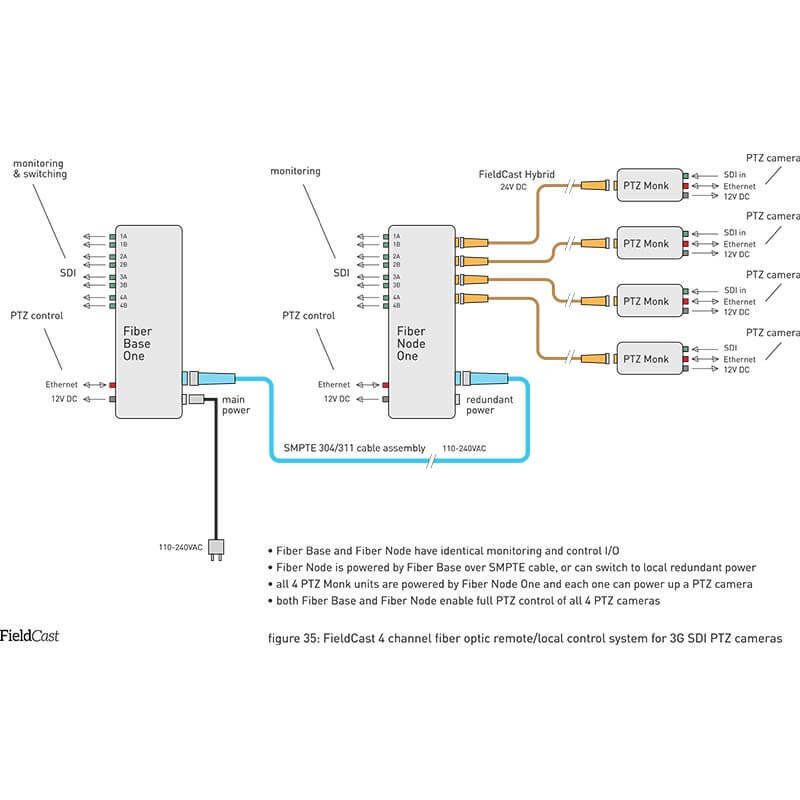 When you connect a FieldCast hybrid cable coming from FieldCast Fiber Dock or FieldCast Fiber Node to the hybrid connector of PTZ Monk, it receives 24VDC at the input, and converts it to a stable 12VDC at the XLR 4-pin output to feed the camera. 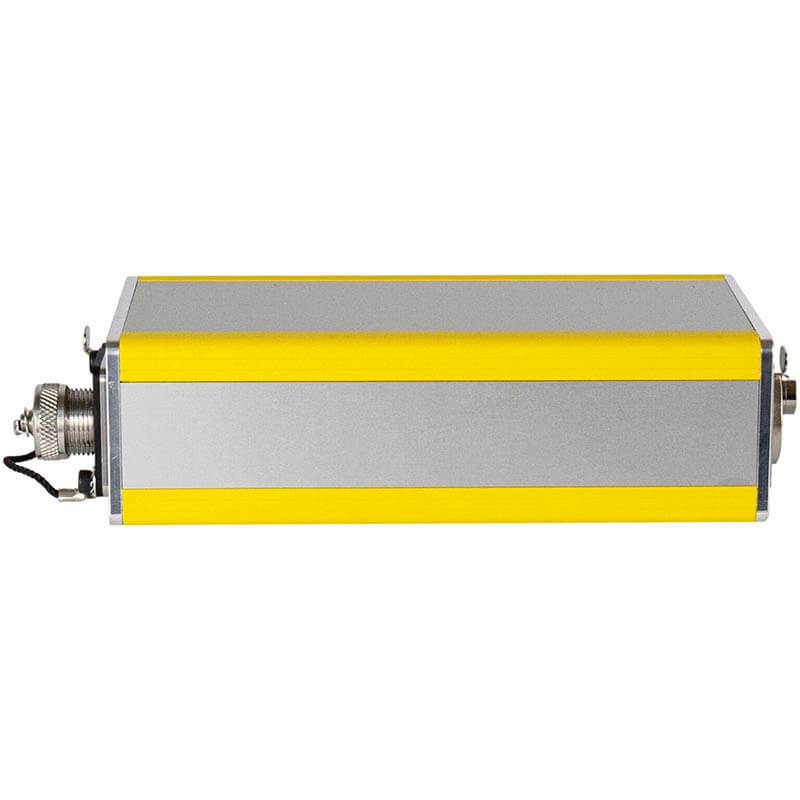 At the same time the built in media converter taps into the fiber optic ethernet switch of Fiber Dock or Fiber Node and the ethernet I/O port on PTZ Monk becomes part of the network. 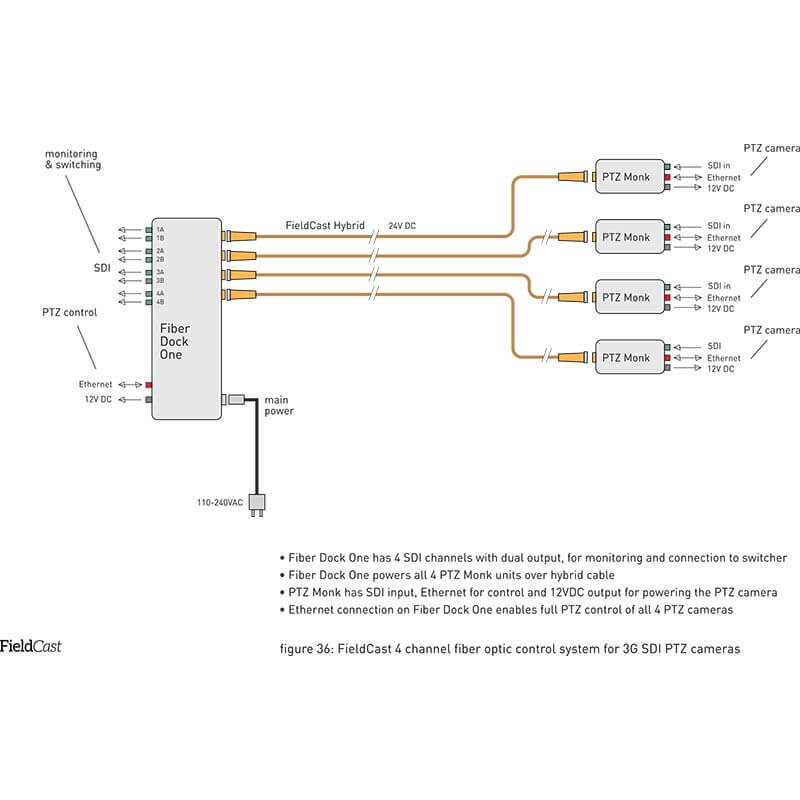 And lastly, the 3G SDI input on PTZ Monk is converted to fiber, and the signal will find its way to Fiber Dock or Fiber Node. PTZ Monk has separate standard connectors for power, SDI and ethernet and patches easily to PTZ camera.